Please help Rubber City Theatre (RCT) bring our Shakesqueer project to the stage. This world premier play reimagines Shakespeare through the lives of LGBTQ+ characters. 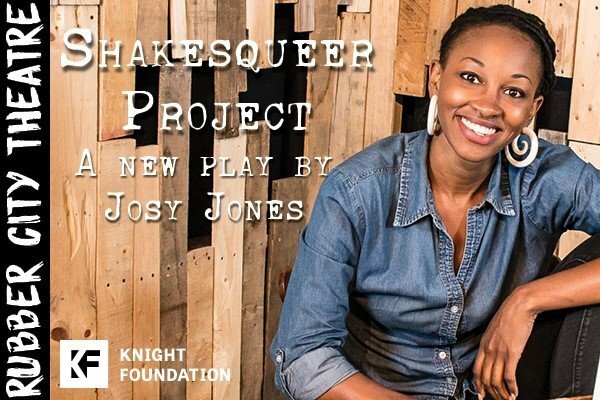 Funding for the Shakesqueer Project is in part from the John S. and James L. Knight Foundation, as part of its Knight Arts Challenge. The Knight Arts Challenge funds the best ideas for engaging and enriching Akron through the arts. The first phase of a two-part project, this all-new show will be based on Shakespeare’s Taming of the Shrew and will revolve around characters representative of the LGBTQ+ community. Rubber City Theatre is a national 501 (c) 3 charity (under the name of Rubber City Shakespeare Company). RCT produces up to seven unique productions annually and offers education courses for students and teachers. RCT has produced Shakespearean classics such as A Midsummer Night's Dream, Romeo and Juliet, and Twelfth Night. RCT also produces other classical plays, new works, and musicals. Your donation or sponsorship will us to continue to build our programs as well as start new programs. If you have questions about donating please email donors@rubbercitytheatre.com.